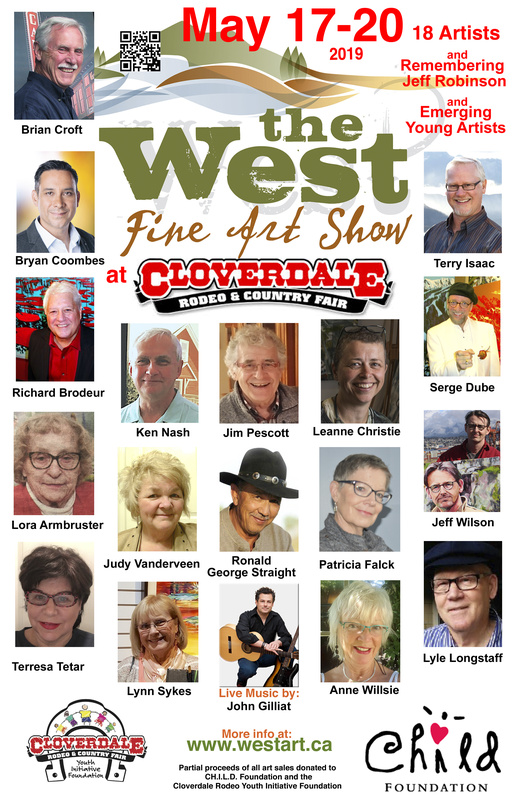 The West Fine Art Show features some of the finest artists in Western Canada, connecting people with art in a series of annual art shows that will become the cornerstone of your arts and entertainment calendar. “It’s all about a touch of celebrity and breathtaking interpretations of the Canadian west – ranging from the untamed wilderness to more urban scenes.” Alex Browne - Peace Arch News. Some of the finest artists in the "West"
We are pleased to present this show in partnership with CH.I.L.D. Foundation and the Cloverdale Rodeo Youth Initiative Foundation and hosted by the Cloverdale Rodeo and Country Fair. Partial proceeds of all art show sales will be directed to the two Foundations.